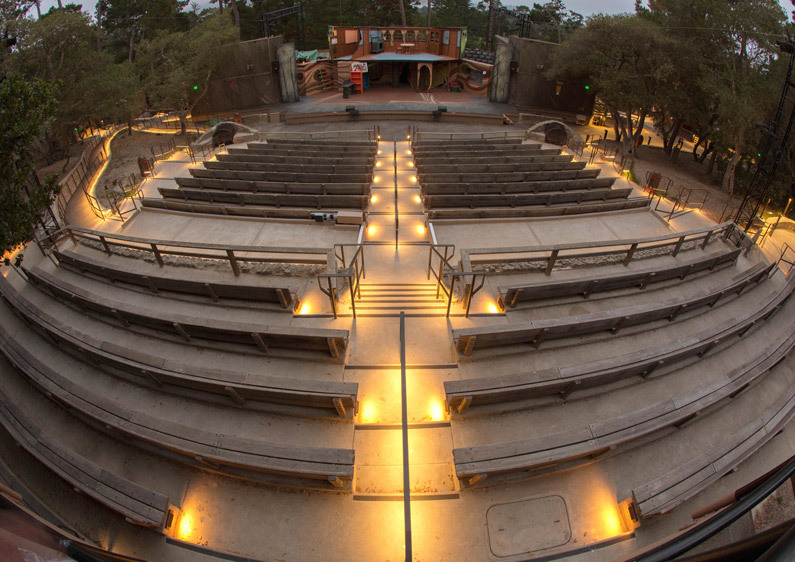 Located on a wooded site in Carmel, the Forest Theater was founded in 1910 and is one of the oldest outdoor theaters in the west. The original theater was rebuilt by the WPA in 1939 and served the community until it was closed in 2014 due to code and safety issues. SWLA worked with a team of architects, engineers and contractors to renovate the theater so that it could re-open for the 2016 season. The goal of the renovation was to retain the historic character of the theater while bringing it into compliance with current codes, including provision of accessible seating and access, required egress routes, and lighting. Site improvements included new paving, ramps, stone walls and lighting, all designed to fit within the historic character of the theater and site.